Do you think you are a pro of the skateboard? Have you tried to challenge the most advanced skaters in town to check if you are good enough to compete with them? If you are passionate about skateboarding, this game is for you! Prove yourself in this amazing game! Master your technique to have no rivals! Take your skate and start training to become a skateboarding star! 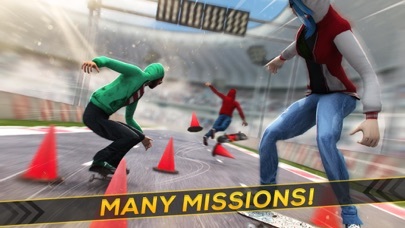 Join the masters of the skateboard in this simulation game where you can test your skills and learn from the real masters of the skate. Become one of them and place your name among the skaters. Train dodging all the cones and completing the different rutines. Follow the advice of the masters and get ready to perform your best freestyle tricks. Show off your skills in these circuit and have hours of fun challenging our masters. Win the races skating in this stadium! Prove you were born to be one of the masters of the skateboard! Start running with the Skateboard Masters! 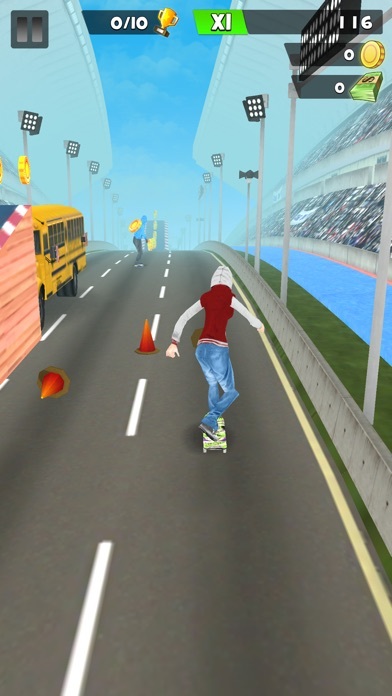 - Enjoy the training racing with your skate in the city. 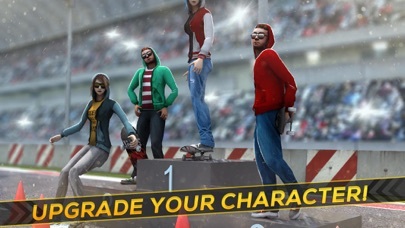 - Compete against different skaters and win your place in the podium. - Perform your best freestyle tricks and show off your skills! - Avoid all the obstacles to win your rivals! - Amazing graphics and intuitive controls! 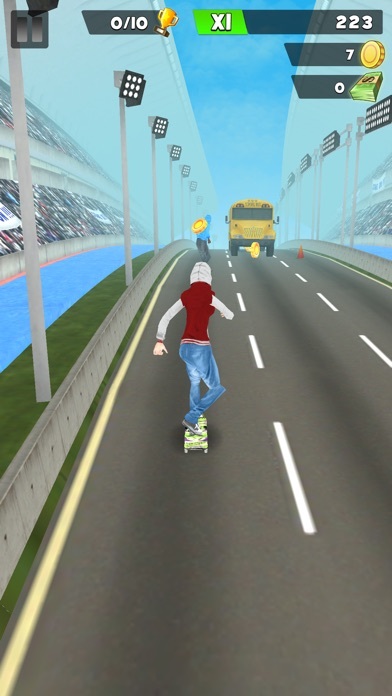 - Share your achievements with your friends and show them who is the next skateboard master! Are you ready to be in the podium of the Skateboard Masters? You were born for this! Grab your skate and start running! Do not miss a minute and start racing! Play now! I checked this game out, but as SOON as I open it, an ad. After that, I hit play, ANOTHER ad. No thanks. If you have to run THAT many ads, you need to reevaluate your monetization model. I don’t normally write reviews for games but this games is so god awful that I recommend you never download it. The graphics are horrid, a game from the 80s has better graphics than this one. The controls are off, and the gameplay itself is just really bad. They expect you to hit the guy to get the coins but everytime you see him he’s practically impossible to hit without you dying. Don’t get this game. I stated the game but in the totorial it stoped and didint let me play. This game is not that good I thought it would be enjoyable and fun to play. 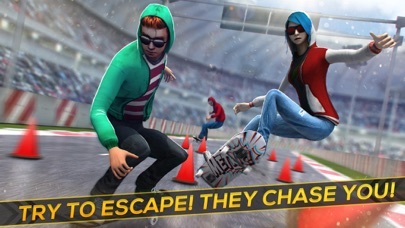 It’s like subway surfers but with not so great graphics, as well unrealistic the character keeps skating even tho he falls or hits an object. This is my own opinion on this game you can try it out if you want but it is not that good as I thought it would be. I love this game because it reminded me so much of one of my old favorite games subway surfers I will never delete this game ever!